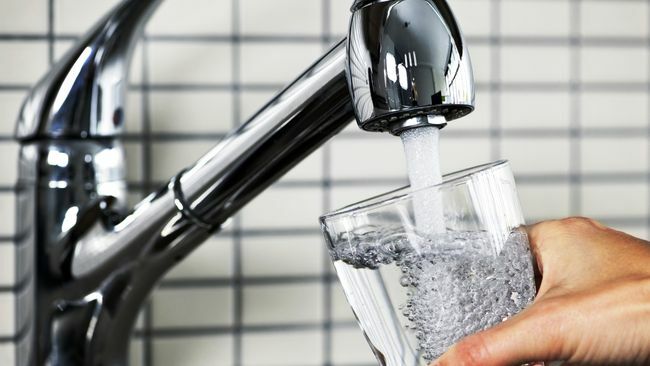 CHARLOTTE, N.C. -- Duke Energy today received preliminary approval from the North Carolina Department of Environmental Quality (NCDEQ) of its plans to offer new, permanent water supplies to eligible neighbors near its North Carolina coal plants. "Today's decision finally resolves this issue for plant neighbors and helps preserve the full range of safe basin closure options, which benefits all customers," said David Fountain, Duke Energy president - North Carolina. "We care for the communities we serve and recognize the uncertainty neighbors experienced with water standards. That's why we voluntarily provided bottled water, supported the legislation to offer neighbors a new, permanent water supply and are now adding a goodwill financial supplement. At the same time, the body of evidence continues to grow, demonstrating that ash basins are not impacting well water quality," he said. In its preliminary approval, NCDEQ noted it will gather additional information about water quality standards and the treatment systems. Duke Energy will provide the agency with any information that it requests as part of that process. To complement what's required under state law, the company has finalized the details of a one-time financial supplement to help provide eligible property owners peace of mind by addressing concerns they've expressed about property values, new water bills or disturbances during construction or maintenance. The cost of this program will be borne by shareholders and not included in customer bills. The company will offer a $5,000 goodwill payment per property to support the transition to a new water supply. Duke Energy will provide all eligible residential property owners a property value protection plan. If a homeowner sells his or her property (or is under contract to sell) before Oct. 15, 2019, and does not receive fair market value, Duke Energy will cover the difference in price. In communities where a public water supply is available and selected, neighbors will receive a stipend to cover approximately 25 years of water bills. The payment will be based on water rates in their community and an average residential usage of 5,000 gallons a month. The stipends range from nearly $8,000 to $22,000, depending on the local water rate. Neighbors who select the sophisticated water treatment option will benefit from the value of the approximately $10,000 system, plus long-term maintenance paid by the company. More specific details and information on the goodwill supplement will be shared with plant neighbors in the coming weeks through mailings and information sessions. To learn more about the plant-specific water plans and the step-by-step process approved by the North Carolina Department of Environmental Quality, check duke-energy.com/WaterPlans. Scientific data continue to show that coal ash basins are not impacting neighbors' wells, including a recent Duke University study that confirms hexavalent chromium is naturally occurring across the region and not originating from ash basins. State law requires the company to offer new, permanent water supplies to well owners within one-half mile of ash basins. It had also required a series of dam enhancement projects, which have been completed. Neighbors also have the option to decline a new water supply and/or the goodwill financial supplement. Once water supply installation concludes, the state law calls for basins to receive a "low" ranking, which preserves the full range of closure options, including capping basins in place with long-term monitoring. The company remains committed to completing this work in ways that protect people, the environment and wallets. Duke Energy, one of the largest electric power holding companies in the United States, supplies and delivers electricity to approximately 7.4 million customers in the Southeast and Midwest, representing a population of approximately 24 million people. The company also distributes natural gas to more than 1.5 million customers in the Carolinas, Ohio, Kentucky and Tennessee. Its commercial business operates a growing renewable energy portfolio and transmission infrastructure across the United States.